Internorm is the European leader in the production of doors and windows and known internationally for its ability to offer innovative solutions to the most demanding customers. Since it began in 1931 the family run company is based in Traun, Upper Austria, has produced over 23 million doors and windows. Internorm is amongst the pioneers in the production of PVC doors and windows and has been the long-term reference point on the market and renowned supplier of high quality wooden/aluminium systems. From the development to the production, all the stages of the process are performed in the three Austrian sites in Traun, Sarleinsbach and Lannach. Internorm currently counts 1,800 employees. Along with almost 1,300 sales partners in 21 countries, the company continues to strengthen its European leadership position. Internorm has always been at the forefront in the production of doors and windows. Set up in 1931 as a metal carpenter’s workshop, in 1963 it was the first Austrian company to specialise in the production of PVC windows. Today, after over 50 years, Internorm offers a wide and perfectly integrated range of door and window systems in the PVC, PVC/aluminium and wood/aluminium segments. Entrepreneurial foresight, technological know-how and an eye for design soon led Internorm to the pinnacle of its sector. Since its beginnings the considerable commitment to research and development, have marked the company’s evolution. 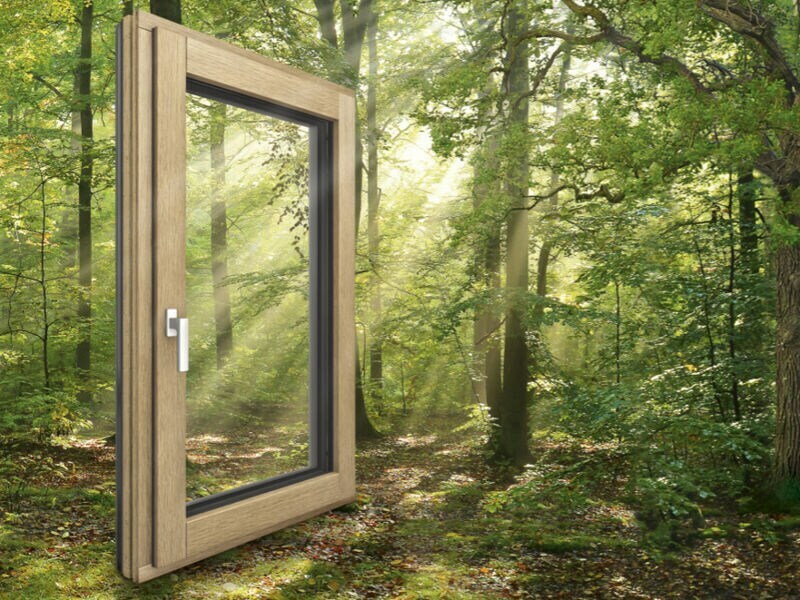 Over the last decades Internorm has set new reference parameters, thanks to state of the art technologies, such as for example the launch of the three pane and three gaskets window system in 1979, the first lead-free PVC window in 1994 or the first wood/aluminium window with highly insulating thermo-foam. A fundamental factor that explains Internorm’s considerable ability to offer innovative solutions is the decision to produce in-house all the elements of the doors and windows, implementing a veritable vertical production integration and avoiding the need for external suppliers. This is why, the profile extrusion activity marked an important landmark in the company’s history. Internorm is the only Austrian manufacturer of doors and windows that sells its profiles nationally. With the tempered glass (ESG) system inaugurated in 2015, Internorm broadened its production capacity. With an annual production of over 134,000 pieces, Internorm is today Austria’s leading manufacturer of ESG. For decades Internorm has been the Austrian leader in PVC windows, PVC/aluminium windows, wood/aluminium windows, energy saving windows and for passive houses, front doors, shutters and insulating glass, as well as being the number one brand in Europe for windows. In 2016 the company had a turnover of 322 million Euro, with 1,800 employees (equivalent at full time). The door and window systems are developed and produced entirely in Austria, in three extremely modern plants. Internorm has total control of the “global concept of door and window system”, from the research and development to the extrusion, production of insulating glass, production technologies and the state of the art logistical systems. This is why it develops the design of doors and frames in-house, up to the custom hardware, independently of system suppliers. 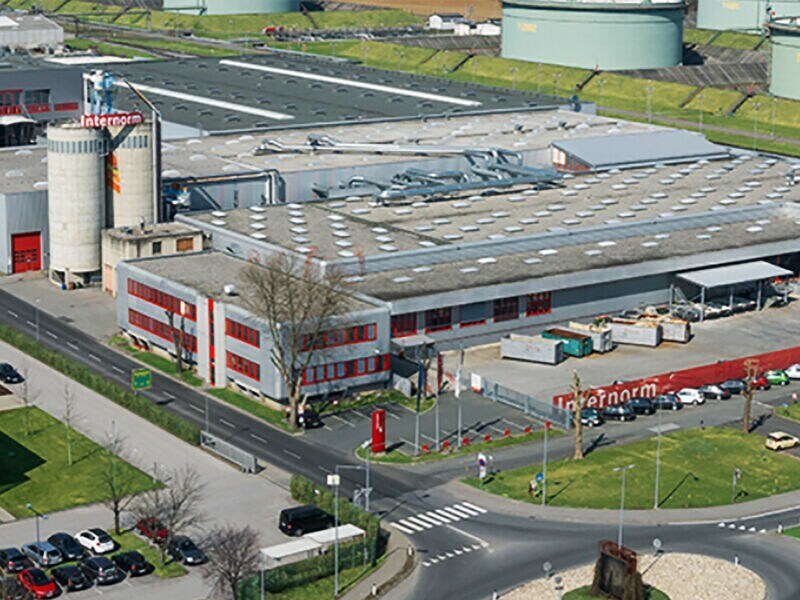 Internorm’s main office is in Traun, Upper Austria. As well as the insulating glass and safety glass, in Traun they produce the special products in PVC, such as round, arched and tilted windows, as well as double windows, aluminium shutters and aluminium front doors. This year they celebrate forty years since the inauguration of the Sarleinsbach plant. From 1977 to the present day, this site has become the most modern European factory of doors and windows and the company has the highest number of employees in the region. Since it opened the plant has produced almost 15 million units of PVC windows. Today it produces over 300 units of PVC windows every day, as well as countless custom executive and dimensional variations. The Lannach plant produces the wood/aluminium door and window frames. Alongside the production of window systems, this site produces the special STUDIO XL production, for custom wood/aluminium architectonic solutions that are larger than the standard sizes. Even though it has a considerable European profile, Internorm loves to stress the fact that it is part of the Austrian economic panorama. “We are a company operating internationally, but our high quality products are produced exclusively in Austria”, states one of the owners, Christian Klinger. The excellent collaboration with SCM has lasted over 22 years. 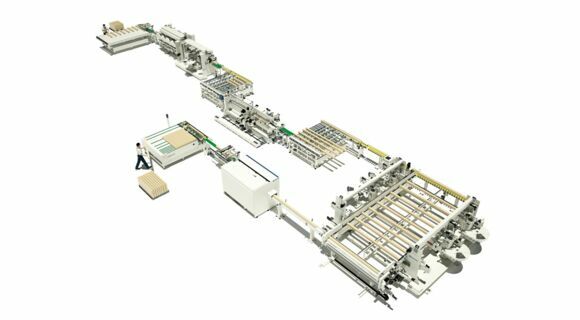 In 1995 they installed the first large integrated line, an SCM System 5, to meet the growing production in the standard wooden windows sector. This initial investment was followed by a Windor 50 angular work centre and a Routronic CNC router, for the production of special constructions (special shaped windows) as well as a machine for rebating and a Superset 23 throughfeed moulder. The last four machines are still operational today, bearing witness to the quality of SCM’s products. In 2001 and 2003 there were further integrations with two new Superset and Topset XL throughfeed moulders. In 2011 the company invested in a complex high performance integrated line, an SCM System 8C, to meet the future requests not only in terms of quantity, but also quality. 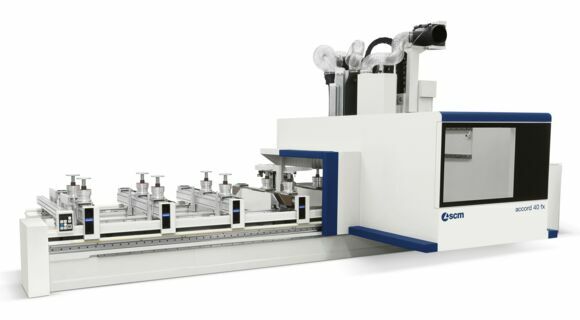 With the introduction of a new system of lift and slide doors in 2013 it purchased an electronic Topset XL throughfeed moulder with 9 spindles, to make frames up to 6 metres long. For the HF410 windows system, developed last year, the Lannach plant added a new Topset XL electronic throughfeed moulder with 11 spindles, a DMC System T7 wide belt sander and an Accord 40 FX work centre with automatic table. 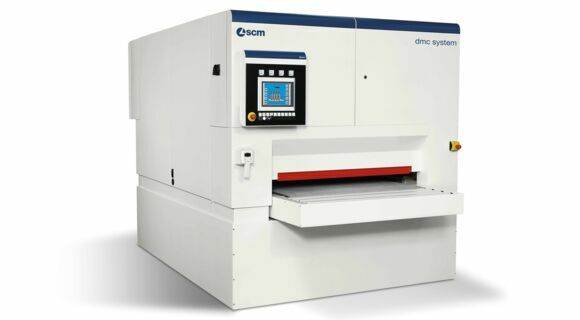 DMC System is fitted with seven machining units: thanks to its modular structure it can provide solutions for every production requirement in terms of calibrating, sanding and structuring. In particular, thanks to the multi-direction crown wheel unit, excellent levels of structured and closed pore finish can be achieved on windows. 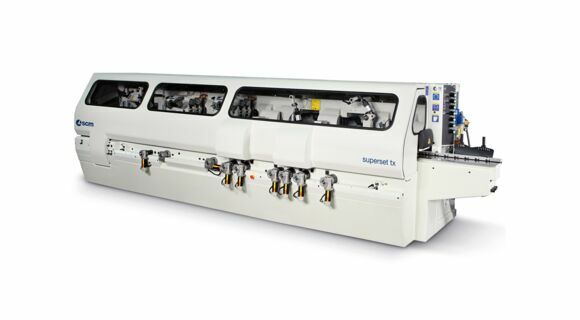 The Internorm plants also feature some of SCM’s classic machines that have marked the history of the company and that have always supported the workshop work of this leading manufacturer of doors and windows.